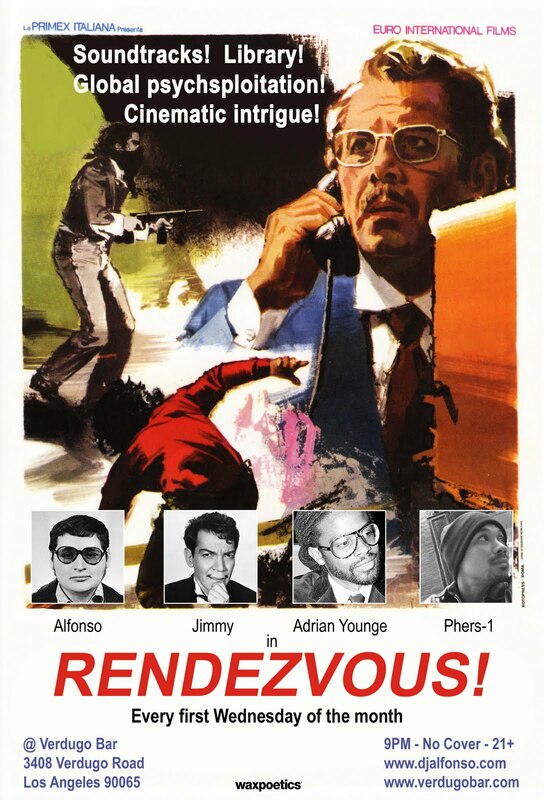 Join us on Wednesday, August 4 as RENDEZVOUS welcomes its two newest residents, Adrian Younge & Phers-1! These two phenomenal DJ's bring some much needed talent to the night, as the OG's have been known to scare away customers with their 60's faux vampire/space adventure soundtracks & obnoxious cosmic disco re-edits. 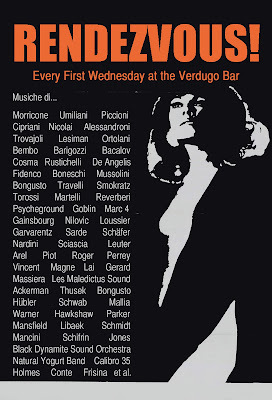 The new RENDEZVOUS collective will be spinning 60s & 70s soundtracks, library, funk, soul, and lots of groovy sounds from Italian & French lost archives! Joining us for the night will be very special guest DJ Marzon (Bridges, LA). Marzon expertly blends tasteful selections of funk & soul in his DJ sets that are not to missed. 60's & 70's Italian cop films, French spy capers, & other rare b-movie classics will also be screening on the big screens. PLUS, a food truck will be parked on the premises! This promises to be a great night of music, film, & friends...don't sleep!